Oh how we love watermelon in this house!! 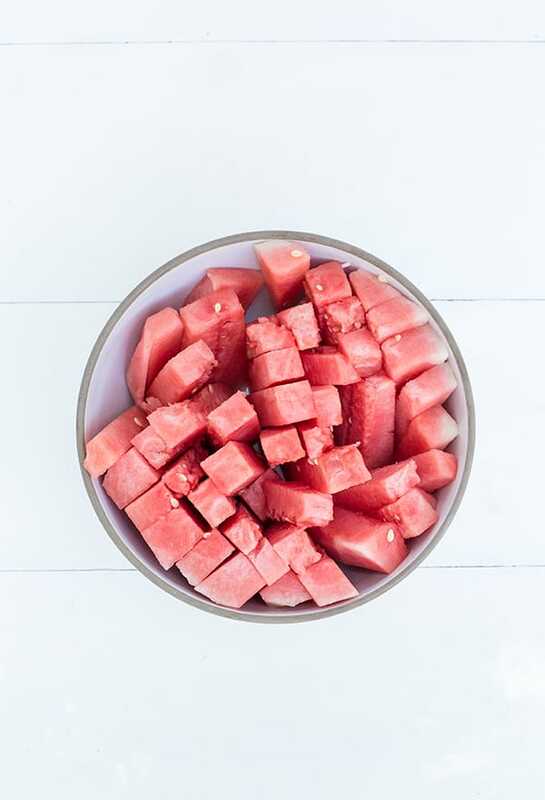 To get through those hot, summer days that are right around the corner… juicy, fruity watermelon is a must! 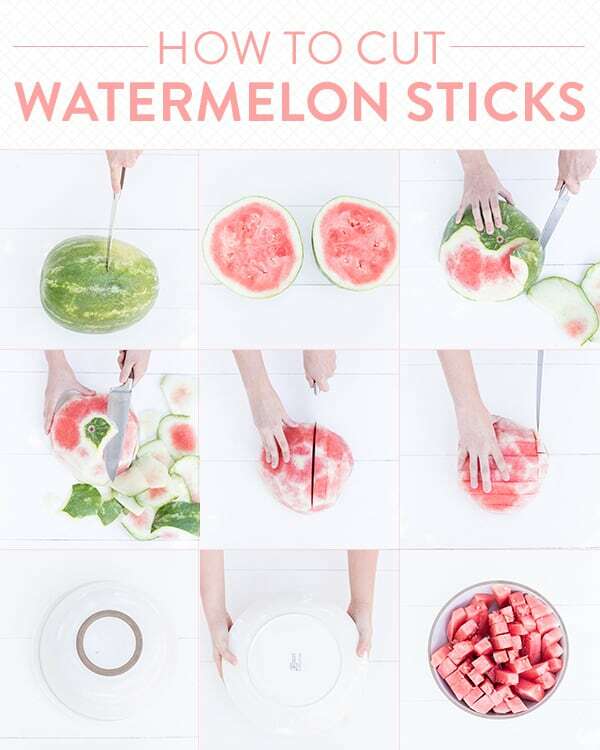 There are so many ways and tricks to cutting a watermelon, but have you ever cut watermelon sticks?! It’s one of our favorite ways so we’re sharing the how-to below! Happy watermelon days! 1. Cut the watermelon in half. 2. Turn half of the watermelon face side down on a plate. 3. 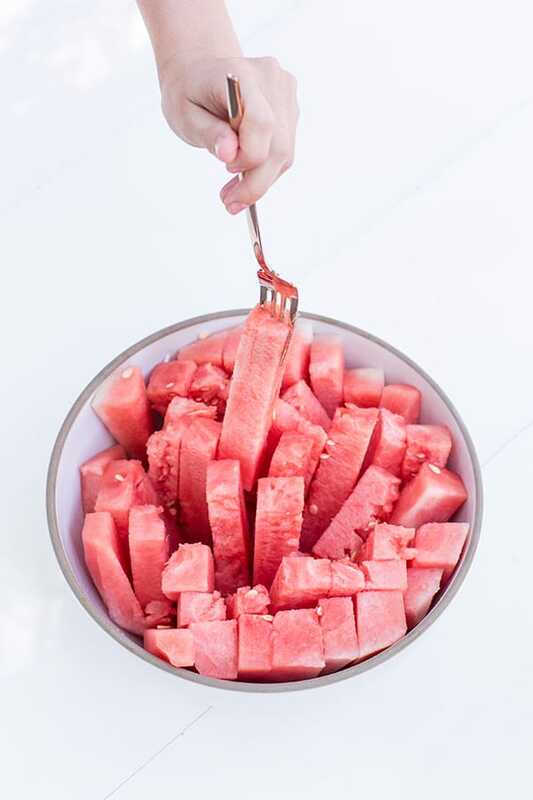 Shave off the rind of the watermelon with a knife. 4. Cut long slices vertically and then horizontally. 5. Place a bowl over the sliced watermelon dome. 6. Holding the plate and bowl in place, flip it over quickly and the watermelon sticks will be in the bowl and ready to eat!! Oh genius too!!! I love watermelon hacks, haha!! These are so lovely and I adore your photo styling. Thank you for sharing this – definitely will be visiting again!